Tranquil villages, super, friendly people, small bustling towns and unspoilt beaches await your coaching parties in West Cork. Your groups are sure to be impressed with this lovely area of magical sunsets, enchanting walks and beautiful scenery. Start your break in Clonakilty, known as the beach centre of West Cork. As well as the Red Strand, the Long Strand, Ballinglanna, Duneen and lots of quiet coves, Inchydoney beach is vast and one of the prized beaches of the country. Music is important in this warm and welcoming area with countless national and international artists hitting the road to Clon at some stage in their careers. Here, the International Guitar Festival takes place every September and the Waterfront Festival is now hugely successful. Meet the characters and enjoy this beautiful floral and tidy town. Next visit Timoleague, a well-known spot on the coastal route because of its famous Franciscan Abbey, over 750 years old and still standing tall on the water’s edge. Enjoy the relaxed atmosphere, cosy pubs and a ten day Harvest Festival in August. Baltimore is the sailing centre, dominated by the harbour. Your group will enjoy whale watching, fishing and diving and the incredible Fiddle Fair in May is as good as you’ll get and guaranteed to get you smiling and your feet tapping. 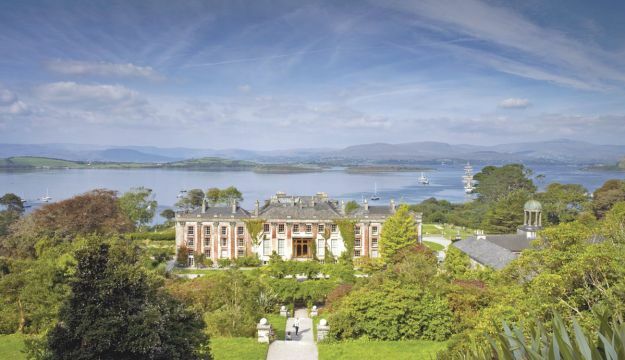 You’ll find the beating heart of West Cork in Skibbereen. A poignant reminder of Ireland’s past is the mass grave on the outskirts of the town where up to 10000 were buried during the famine of 1845-1849. The Welcome Home Festival at the end of July with street entertainment is all free. Arts, crafts, culture and food have a strong hold hear with plenty of retail outlets selling local produce from all over West Cork. The Cobh Heritage Centre has been in operation for 22 years and is situated in the beautiful coastal town of Cobh at the mouth of Cork harbour and only 20kms from Cork City. “The Queenstown Story”, which the exhibition is called, tells the story of Cobh’s unique origins, history and legacy. It is housed in the old Victorian railway station adjacent to the quay where many millions of Irish emigrants boarded ships bound for a new world and a new life. The exhibition recalls the terrible conditions aboard those early “coffin ships”, the great Famine and how it affected the lives of the Irish population, the mass emigration and the convict ships bound for Australia. The exhibition also tells the story of Cobh’s connection with the ill-fated Titanic and the sinking of the Lusitania with the loss of 1,198 lives, many of whom are buried in Cobh. The exhibition tells these stories in a factual and sympathetic way, enough for our visitors to understand and soak up the atmosphere. It is a self guiding exhibition that allows our visitors to spend more time with what interests them. The Centre also has two gift shops and a Cafe serving teas, coffees, snacks and hot meals; the ideal stop for coach tours and groups with coach parking available just outside. In 2015 we will be remembering the Centenary of the Lusitania disaster where our exhibition will have an upgraded section dealing with the Lusitania and its unique association with Cobh.